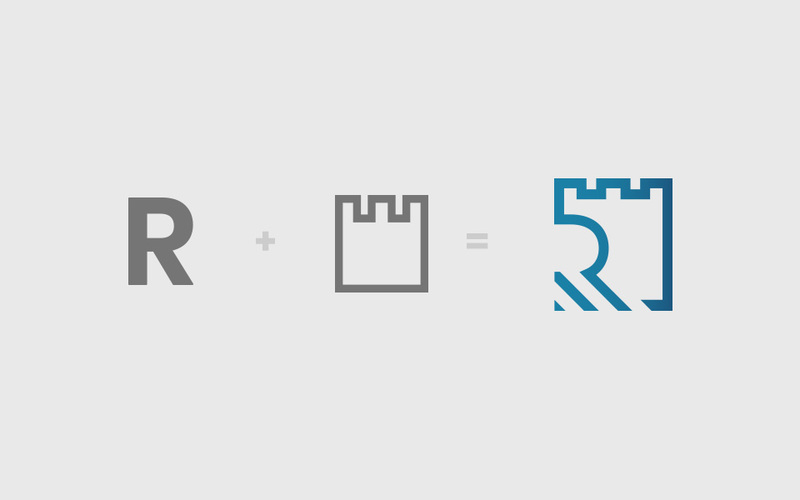 London based advisory firm, Ricardo Research, approached Canny early in the process of creating their brand. 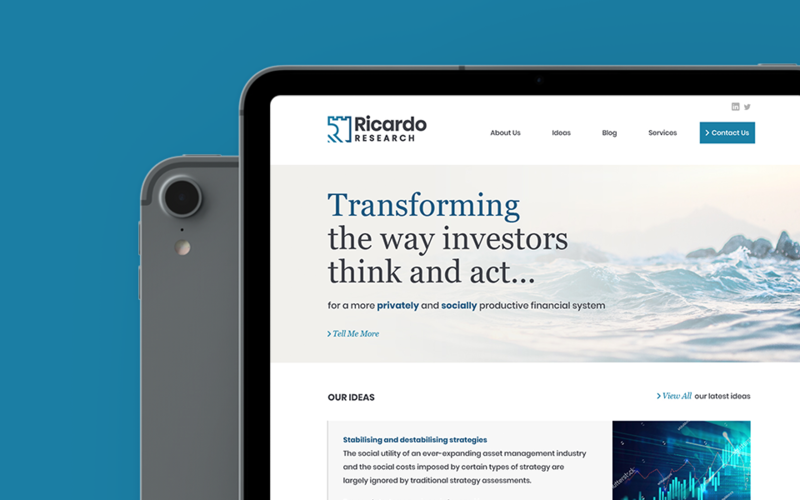 After a number of interactions, we were asked to help create a brand identity and website that positioned Ricardo Research as thought leaders in the investment industry.
" Canny Creative provided a very tailored and flexible approach to our branding and website project. They took the time to understand our objectives at the outset and as a result we have a brand and website that we are very proud of." But Ricardo Research are different from the mainstream investment consultants. They set out to use cutting edge research to "transform finance." 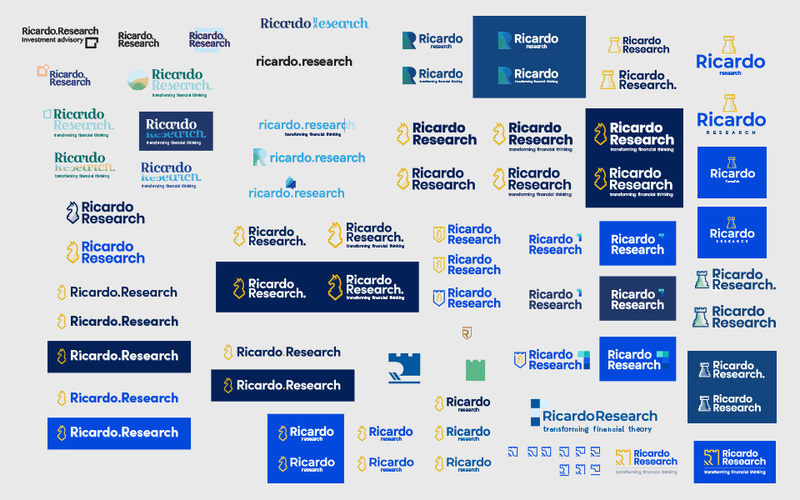 The Ricardo Research brand needed to provoke thought, be memorable, and differentiate the business in a crowded marketplace. One of the key challenges with Ricardo Research, was determining how to demonstrate the strength of their research capability without falling foul of industry clichés. The rook is an important piece in the game of chess. The rook can move the length and breadth of the board and has the ability to change the game. This is exactly what Ricardo Research hope to do in the world of finance. 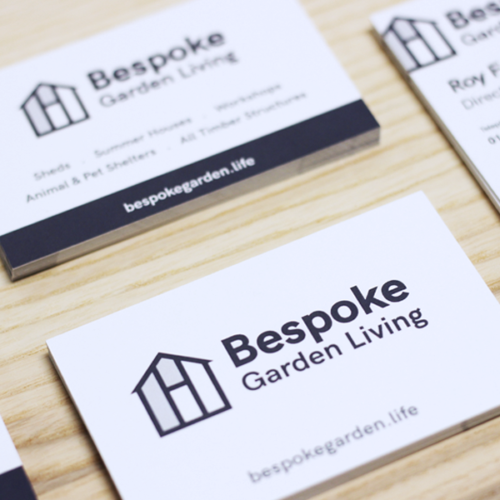 With any new branding project, consistency is key. It's important that the business that sits behind the brand are fully invested in using the identity in the way it's intended. 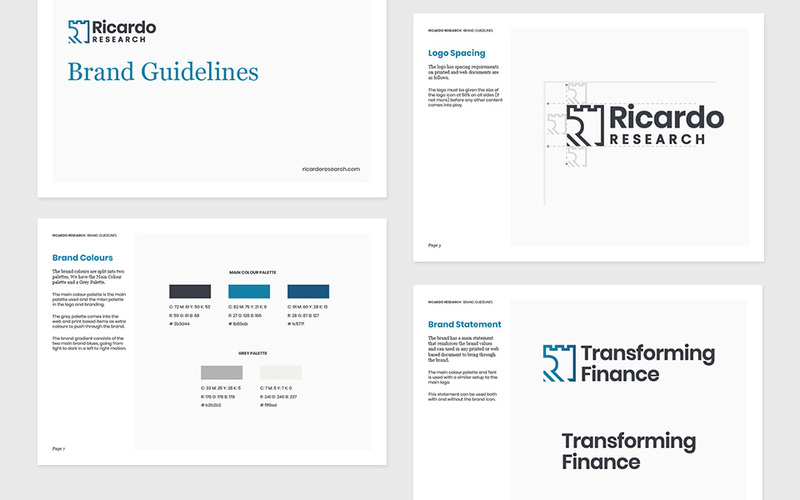 To ensure that all branded materials stay on track, we created a comprehensive overview of the branding system that we developed for Ricardo Research. 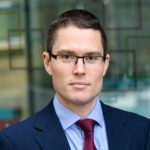 The mission of Ricardo Research is to "Transform the way that investors think and act for a more privately and socially productive financial system". 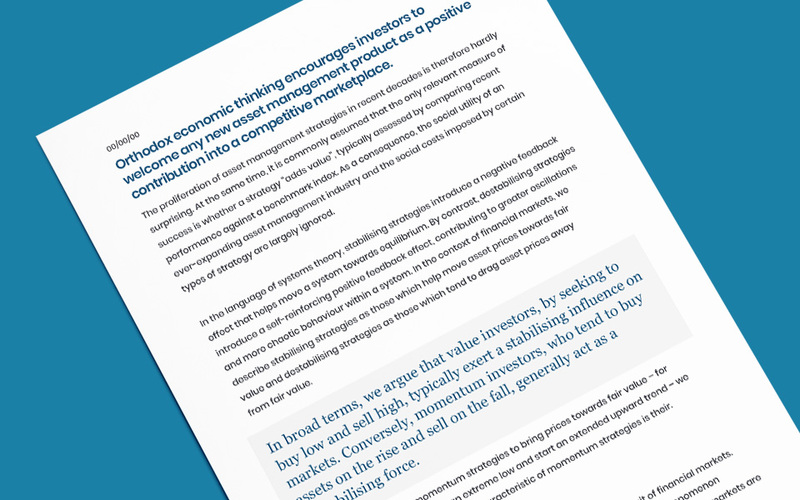 They want to present new ideas, challenge the status quo in the industry, and promote a different perspective on investing, for a healthier financial system. With the website, we wanted to give Ricardo Research a way to put their ideas and thoughts at the forefront of everything they do online. Together with the Ricardo Research team, we decided on a split content approach: Ideas (which would house their more substantive thought leadership) and Blogs (an informal yet informative way to share their views). Ricardo Research want to make their ideas accessible to as wide an audience as possible. 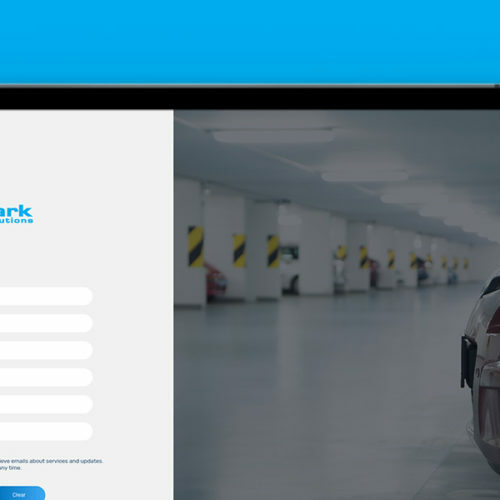 As well as the website's split content approach, we created an ebook template that allows the Ricardo team to wrap their content in a well-designed document ready for distribution. On top of a content-heavy website, Ricardo Research also publish regular white papers and reports for distribution across their network. It's important that a brand stays consistent across multiple touch points. So we created a template that ensures Ricardo's white papers and reports align with their brand identity. 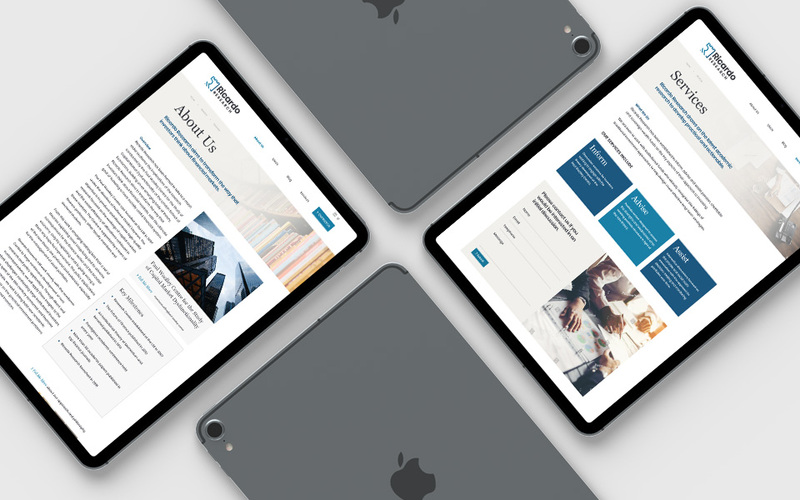 With a flexible brand identity, website design, and content strategy, Ricardo Research can begin to transform finance.